Glee and High School Musical have become two of the biggest television franchises in recent history––and they cater almost exclusively to the teen market. It is therefore hardly surprising that the two would invite frequent comparisons to one another, since aside from targeting the teen market, they are both obviously musicals. Nevertheless, the two shows have a number of clear differences that may miss the scrutiny of even their most avid viewers. Let's take a look at the more significant points of each. One thing that is immediately apparent with both shows is that a lot of work and thought went into the planning of the set design and wardrobe in terms of trying to make it look as realistic as possible. The costumes of both shows already influence young fashion victims all over the world and the sets and locations are some of the most vibrant and striking ones around. That being said, High School Musical is seemingly attuned towards the tastes of the teen and pre-teen crowd, Glee seems geared more toward an older audience. One of the most obvious differences between both shows is how Glee features musical numbers only in the context of performances and/or rehearsals. 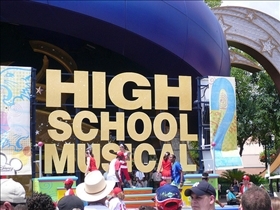 No singing or dancing goes on outside of the context of a realistic scenario, unlike in High School Musical when the characters often simply drop everything and launch into a song or dance number. Here is where the divide between both shows gets even wider. While High School Musical is almost the typical Disney concoction of saccharine sweet moments interspersed with highly produced song-and-dance numbers, Glee seems to have an almost off-the-cuff feel to the proceedings. This is not meant to be a criticism on either approach, as the quirkier stylings of Glee is definitely a breath of fresh air. And Disney’s venerable-yet-undeniably-successful formula continues to draw in new fans every generation. One other important distinction is how Glee approaches various subject matters. The writing is noticeably edgier and it is obviously intended for an older audience, although it still remains within the bounds of the PG13 classification. High School Musical for its part is obviously geared towards younger kids. Which is the best high school musical show? High School Musical is a rosy-cheeked Clearasil commercial. 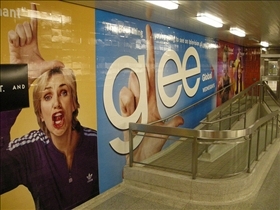 Glee is pimples and warts with a little bit of athlete’s foot all rolled into one. Granted, I find the big clean houses and trouble-free world of High School Musical appealing—it reminds me of the Annette Funicello surf movies of the '50s. But Glee is more like my actual high school experience, chock full of character building and squeamishly uncomfortable moments. Nobody bursts into song in the cafeteria or on the basketball court. PORRA GLEE É UMA PORCARIA QE TA TENTANDO IMITAR O HSM MAIS NAUM É TAUM BEM PRODUZIDO QUANTO HSM E NUNCA VAI TOMAR O LUGAR DE HSM. Simon vs. Randy vs. Kara vs. Ellen: Who is better? The Daily Show vs. The Colbert Report: Which is better?